Ramón de la Fuente took advantage of the break of the Christmas holidays to undergo an arthroscopy in his meniscus of his right knee. Rafinha Alcántara was not the last member of the first team to go through the operating room this season. This 'honor' corresponds since the end of the year to the goalkeeper coach, Ramón de la Fuente, who decided to undergo an arthroscopy to remove the meniscus that was giving him many problems lately in his right knee. The discomfort in the limb knee of the technical staff became evident during the derby against Espanyol in the league last December 8 at the Camp Nou. It turns out that De la Fuente is usually in the front row on the bench during the meetings, since he participates actively in the warming up of the goalkeepers, generally consisting of several shots with different degrees of intensity. However, that day had to be absent before the insistent pain in his right knee, being the third goalkeeper Iñaki Pena who made the warm up with his teammates, so he had to enter the day before in the call. That there were three goalkeepers in a Champions League game is not strange, but it is in the league, fueling with their presence the speculation that there might be some goalkeeper with discomfort. AS was the first to reveal that day the discomfort in the knee as a reason for the absence of De la Fuente. As the problems in the knee did not quite remit, De la Fuente decided to take the bull by the horns and undergo a simple operation to extract the affected meniscus, taking advantage of the week of celebration that Valverde granted during the Christmas holidays. Three weeks after the intervention, the technical staff member seems already very recovered, but could still miss a few weeks to be one hundred per cent. 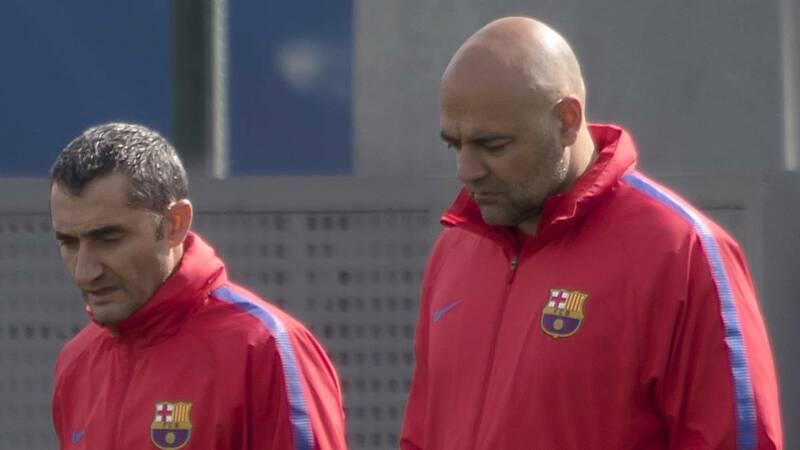 In any case it would be well Samuel Umtiti to look at the goalkeeper coach to start to lose the atavistic panic that has to go through the scalpel. The French central already has almost four months off and has only been able to play a match during this time interval.